Home › Ab Wow Dragon Ab Roller Wheel Melts Fat And Tones Abdominal Muscle In Every W..
Ab Wow Dragon Ab Roller Wheel Melts Fat And Tones Abdominal Muscle In Every W.. Most ab rollers are hard to control. Not the AB WOW Dragon. It's a re-design of the traditional ab wheel with 3 wheels in a triangular shape that keeps you in control. Ready to flatten your stomach right out of the box. Made of solid steel, not cheap plastic. So sturdy and strong it won't break if an elephant steps on it. One piece of workout equipment works your chest, shoulders, arms and abs. Truly helps you burn body fat and strengthen your core muscles. Compact, easy to store, and perfect for home or travel use. 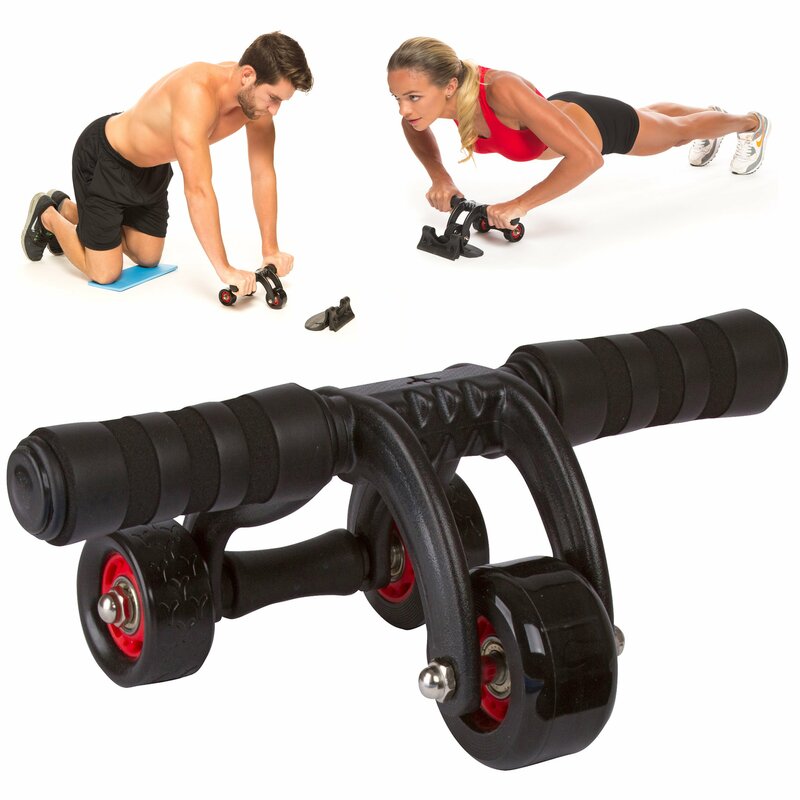 Foam grip handles, knee pad and instruction guide help you achieve the best workout. Glides smoothly on all floor types. The stop brake allows you to concentrate on form, extend without hurting your back, and prevents falling.